Please view our range of toilets with cisterns. These close coupled toilets are all beautiful quality, European manufactured and in the latest contemporary and traditional styles. We have contemporary and traditionally styled toilets, space saving toilets and cisterns with a total depth of only 600mm, we have a lovely styled Art Deco WC plus a combined toilet with cistern that is finished in a exclusive gloss black ceramic. 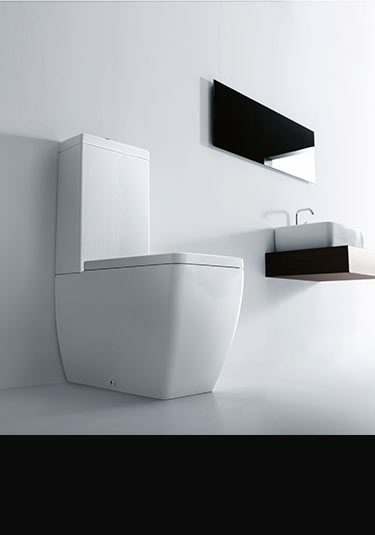 All thick ceramic cistern toilets are supplied with impressive soft closing seats that are reliable and actually work. 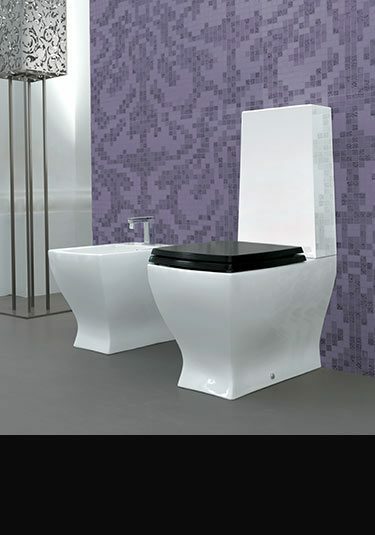 Great mix of flowing curves with boxy straight lines makes an interest toilet and cistern. This high quality close coupled toilet is made and designed in Europe. 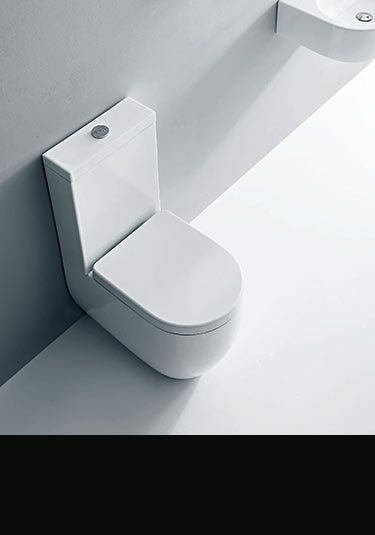 This unique designer toilet with cistern is boxy in styling, with curved corners softening the overall contemporary design. Supplied with an impressive soft closing seat . A classical design from the Art Deco period is still relevent and refined in todays luxury bathrooms. Made and designed in Europe ensuring styling and quality. 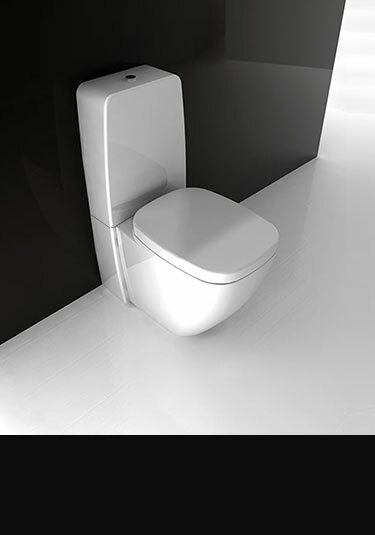 Italian luxury quality small toilet with close coupled cistern has a wall projection of only 660mm. 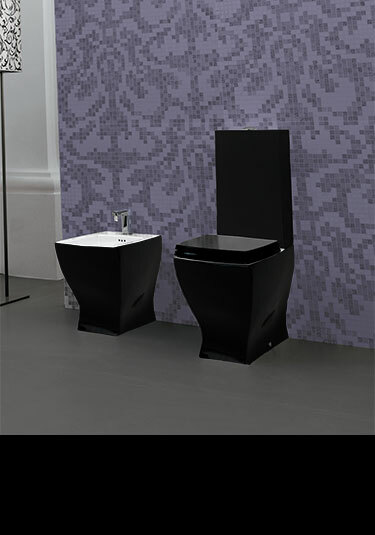 With its designer styling this cistern and toilet makes an ideal choice for small bathrooms, ensuites and cloakrooms. 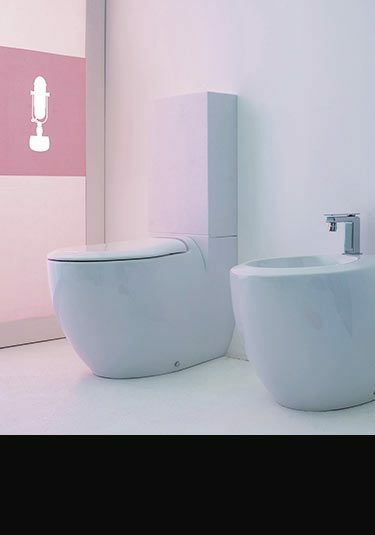 This Italian designed toilet and cistern offers simple but smart bathroom styling that is proving very popular in contemporary design projects. Made in the EEC and includes a quality soft closing toilet seat. 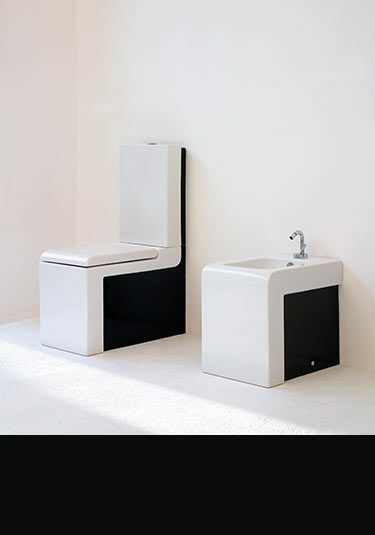 Italian designed and manufactured this toilet and cistern is black on the outside with a white inside and a white toilet seat. This toilet and cistern has only a 600mm total wall projection and is an ideal choice for small bathrooms, cloakrooms and ensuites.